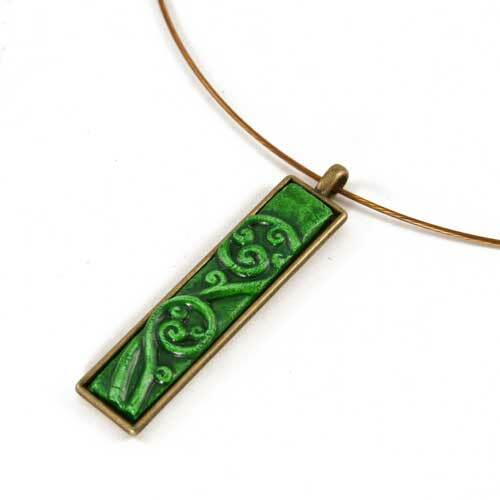 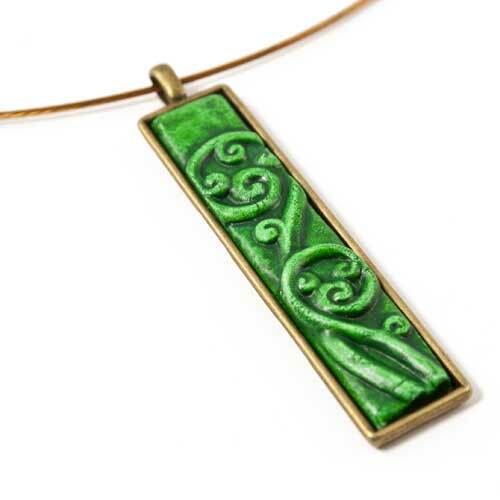 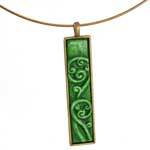 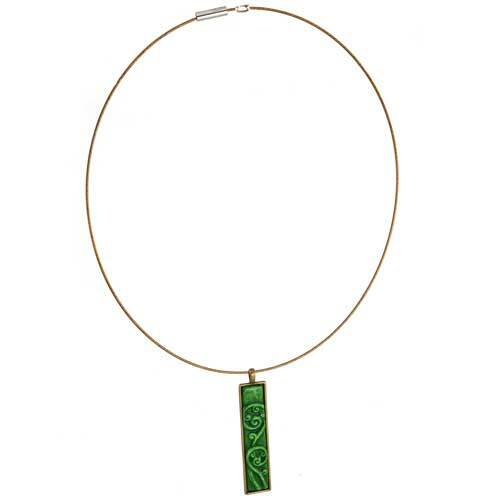 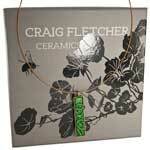 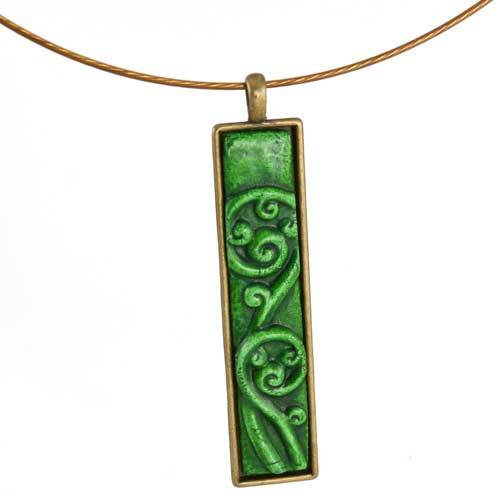 This Craig Fletcher sculptured ceramic koru pendant is handmade in New Zealand using local clays. 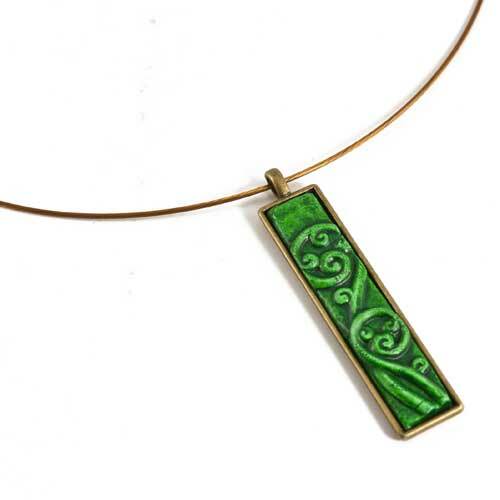 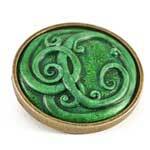 The pendant is hand painted using watercolour, acrylic, inks and patinated metal paints which are then sealed. 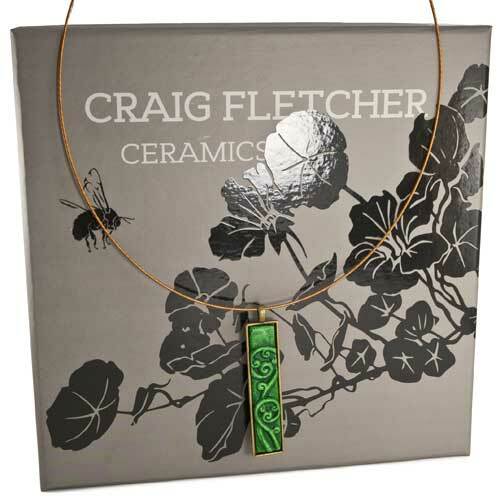 The pendant includes a stainless steel wire necklace with a pull apart magnetic clasp and is presented in a beautiful presentation gift box. Please note that each piece is handmade and may vary slightly from the image shown. 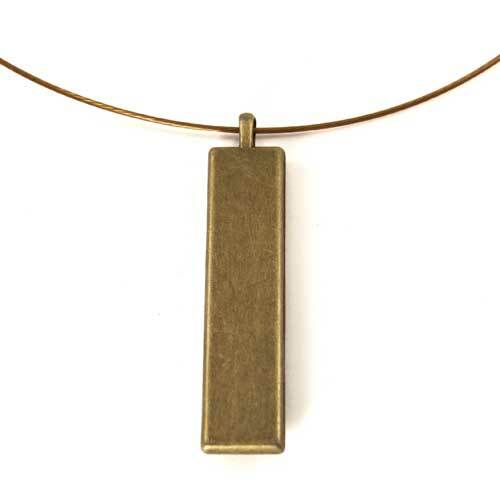 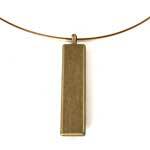 Pendant: Length 50mm, width 12mm, approximately. Chain: Full length 460mm, approximately.